BRIDGE Technologies was founded by a team of people with solid backgrounds from the Broadcast, Telecommunications and Media industries. With deep knowledge of both the marketplace and industrial product development, BRIDGETECH products have been deployed in a large number of networks worldwide. is the most portable broadcast monitoring and measurement platform available with a unique form factor. 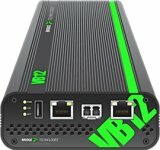 Featuring both optical and electrical GigE Ethernet inputs, separate management port and both an ASI input and output, the VB12 is built for real-world usage in demanding environments. The VB12-RF covers all the monitoring needs encountered in hybrid IP and RF networks, be it QAM or VSB. In particular the factory-fitted QAM input front end option offers the service technician a must-have compact and practical tool for fault seeking in any modern cable-TV infrastructure. The VB120 BROADCAST PROBE offers cost-effective and powerful monitoring in any broadcast operations involving most commonly available signal formats. In particular the VB120 is capable of monitoring IP unicasts and multicasts, OTT/ABR streams as well as a whole range of RF formats. Its modular concept provides the flexibility needed for a cost-effective surveillance system tailor-made for each operator. System scalability in terms of monitoring capacity, signal formats handled and functionality ensures a future-proof solution, an invaluable asset in an ever changing world. The ATV-220 PROBE is similar to the flagship VB220 controller blade for all applications in any network where digital video is carried across an IP infrastructure. Available for Appear TV’s 4ru and 1ru chassis, the ATV-220 offers a highly-developed efficient solution for digital media monitoring either as part of a complete monitoring system, or when used with third-party network management systems. Embodying a range of market-leading technologies the ATV-220 gives engineers a complete and detailed view into the data stream. Together with the VB220 or VB120 controllers the VB242 is perfect for existing infrastructures in the head-end and the regional edge-multiplexer/ modulator/transmitter site. On the cutting edge of technology is the VB266 DUAL QAMDVB-C/C2 RF Interface with all the modulations available from QAM16 to QAM4096 for modern networks with high-density MPTS transports. Up to two inputs on each cards will together with the VB120 or VB220 controllers give 4 inputs in a 1” RU chassis. A complete configuration with a fully licensed VB120 provides real-time monitoring and alarming for four QAM inputs, 50 IP MPTS/SPTS multicasts, upgradable in steps of 10 from an initial 10 streams, and a ASI TS input and output. The VB330 Probe is the flagship in Bridge Technologies products range. With line-speed 10G performance and a massive multiprocessor architecture the VB330 can deliver monitoring and analytics of thousands of streams and a multitude of technologies in real-time and in parallel. The VB330 utilises the same visual and intuitive approach to monitoring and analytics as other probes. The VB330 is aimed at monitoring the full cross section of services commonly found in media related network operations. As such the VB330 is very much a multi use tool to monitor network performance involving signal formats and areas as diverse as video IP multicast, video OTT/ABR streaming, voice trunks, video-on-demand unicast, Ethernet packet micro bursts, PCAP recording and general traffic protocol inspection. 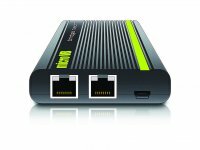 The microVB™ is a breakthrough in both form-factor and functionality for real-time analysis of customer home network performance. This unobtrusive device provides deep packet inspection and end-to-end visibility in broadcast quality media delivery over any IP based infrastructure including OTT media in unmanaged networks. Combined with the Bridge Technologies server software, Operators can now maintain 24/7 confidence monitoring from head end to customer home. 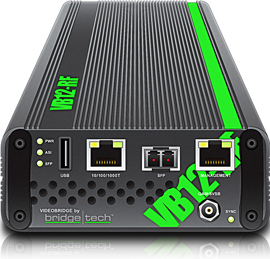 The VideoBRIDGE controller (VBC) is a server application. 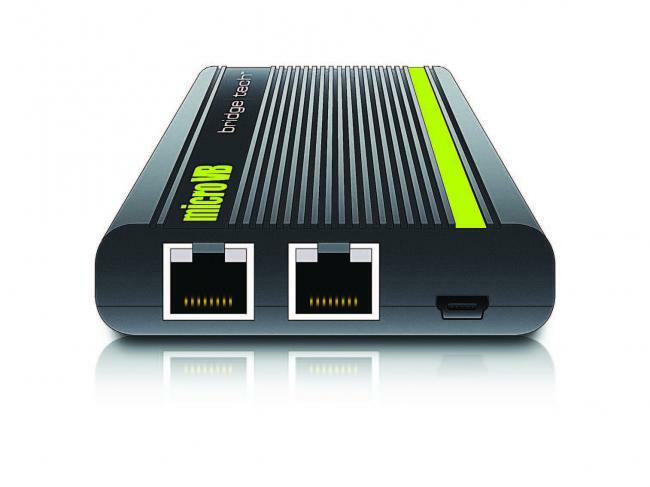 The main purpose is to offer central control and management of VideoBRIDGE devices such as the VB1 and VB2 series of broadcast and telco IP-probes. Key elements in the VBC are: configuration management, stream status, 4-day historical data-display with the Microtimeline™ technology, SNMP multi-destination trap forwarding, equipment hierarchy and alarm logging. The users connect to the server by using a standard web browser as the client.